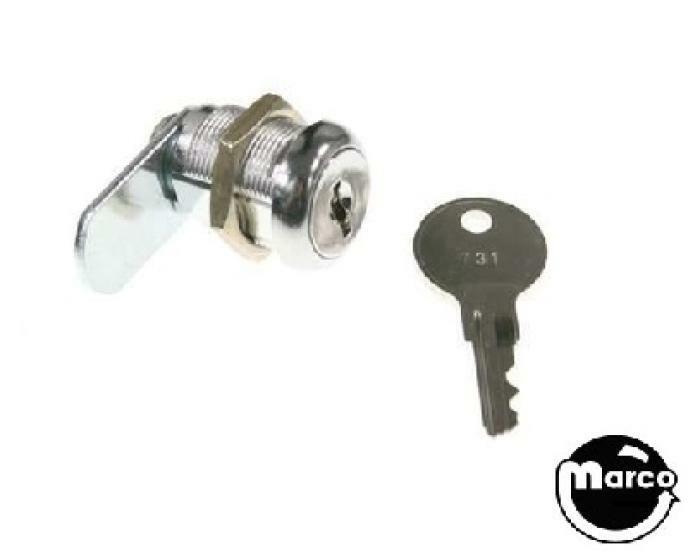 "Lock and cam - 7/8 inch keyed-alike" has been added to your cart. Standard keyed-alike single bit 7/8 inch long barrel lock with chrome bezel fits most metal coin doors. Includes one key, 1-1/4 inch cam, cam screw, and mounting nut. Choose different length lock cams below for other applications.